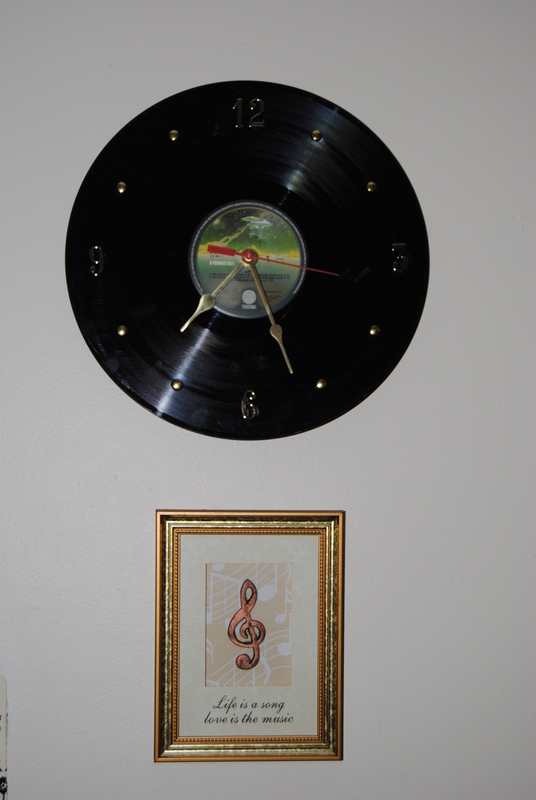 I have seen many exciting ways to upcycle old vinyl online, but the idea for me actually started when I stumbled upon an awesome shop on Etsy called ” It’s our earth” They upcycle records, and floppy discs into coasters, chip bowls and clocks just to name a few. 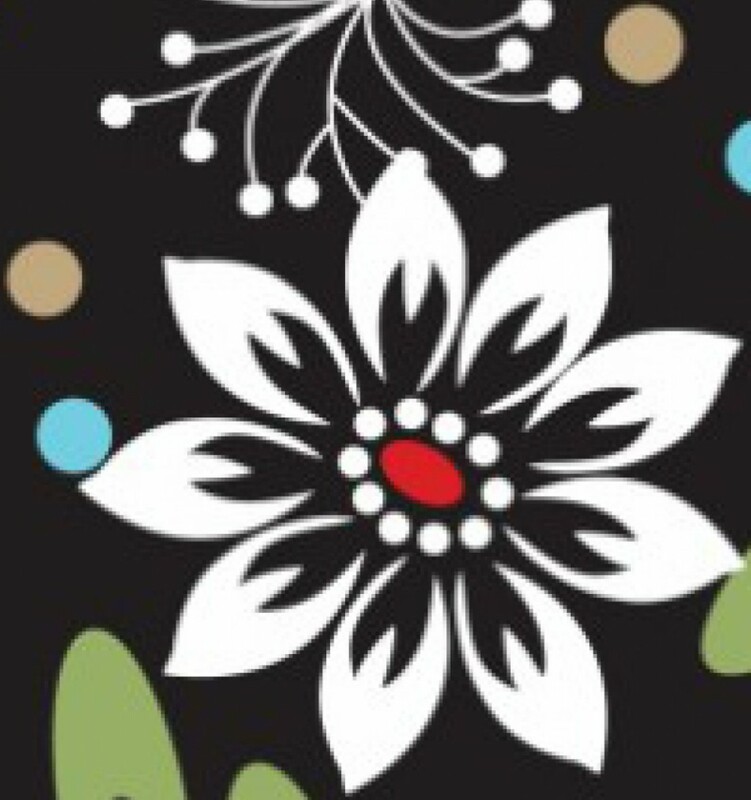 I was shopping online for Christmas and saw a clock made from a Thin Lizzy record, my husband’s favorite band. I jumped at the chance to get it and the price was right. It hangs proudly in our living room next to our 1970 Pioneer stereo cabinet. Most importantly, he loves it! 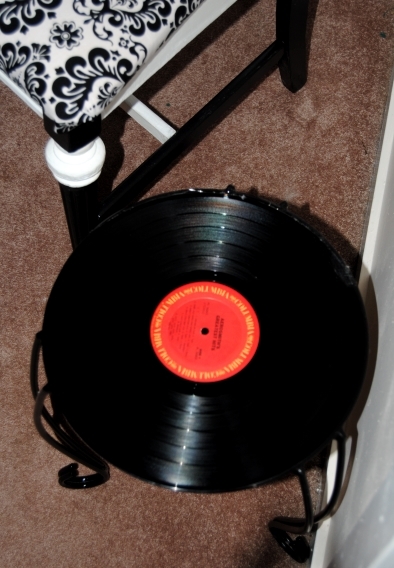 I loved all the great upcycling ideas for small record side tables, and they looked very easy to make. It would also go nicely with the clock in our living room. I am a great lover of music and the sound of vinyl, so I scoured my collection for a record I had purchased from a dollar record bin that was damaged and unplayable. 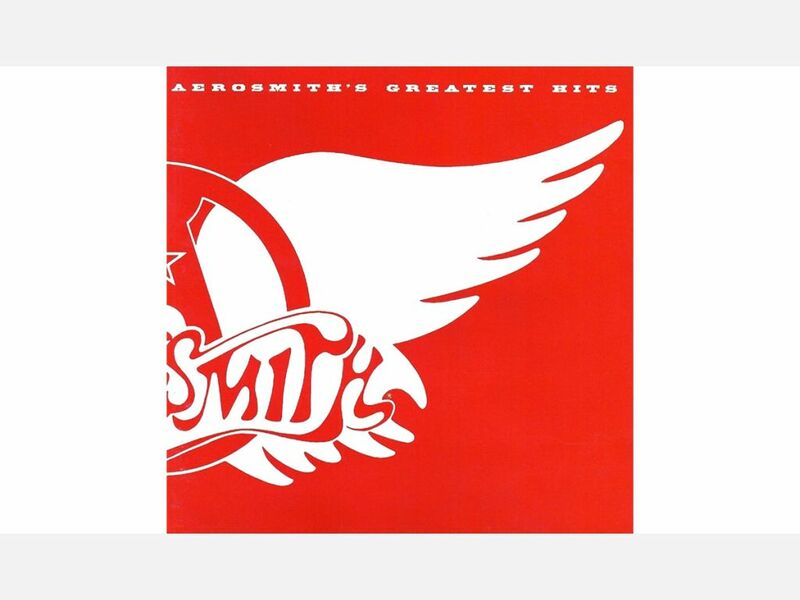 Aerosmith is a cool band, but this record was destroyed! It was perfect for making a record table. 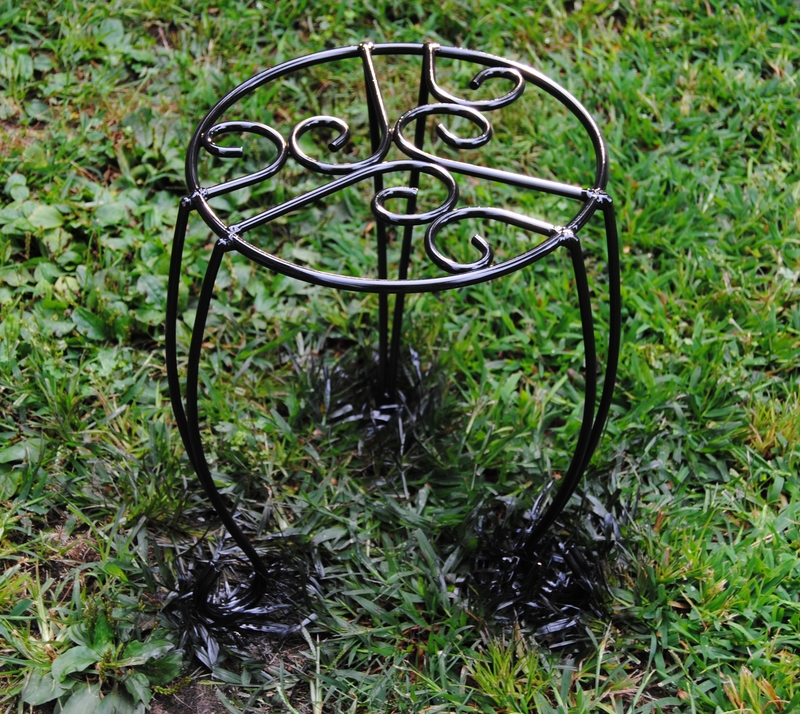 I also had an old, weathered metal plant stand. I cleaned it and spray painted it black and allowed it to dry. 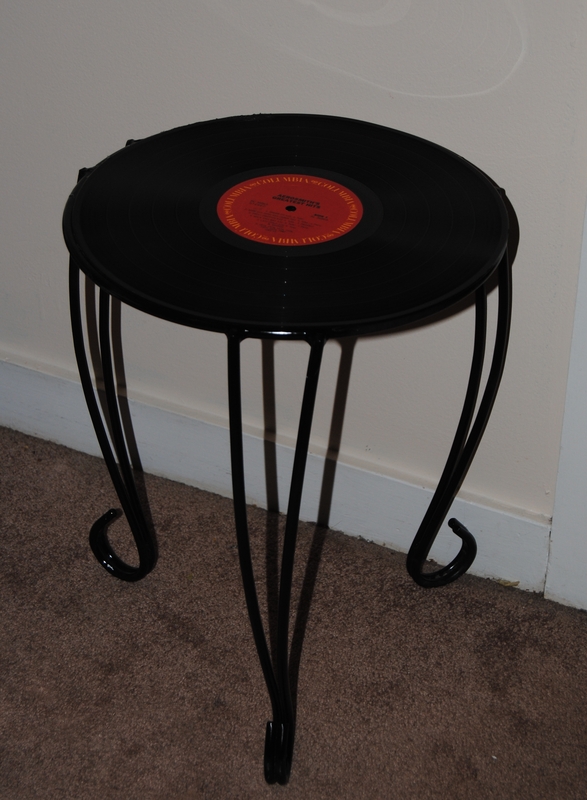 I then simply used a high heat hot glued gun to adhere the record to the plant stand. Not only a cute living room addition, but a great functional side table! FINALLY….I found a plant stand at Goodwill and it was only $1.91. I’m totally making one of these!